Showcasing the best in free Portfolio WordPress Themes. These layouts are best for artists show casing their work; architecture, painters, photographers, stylists, make-up artists and forever the list goes on. 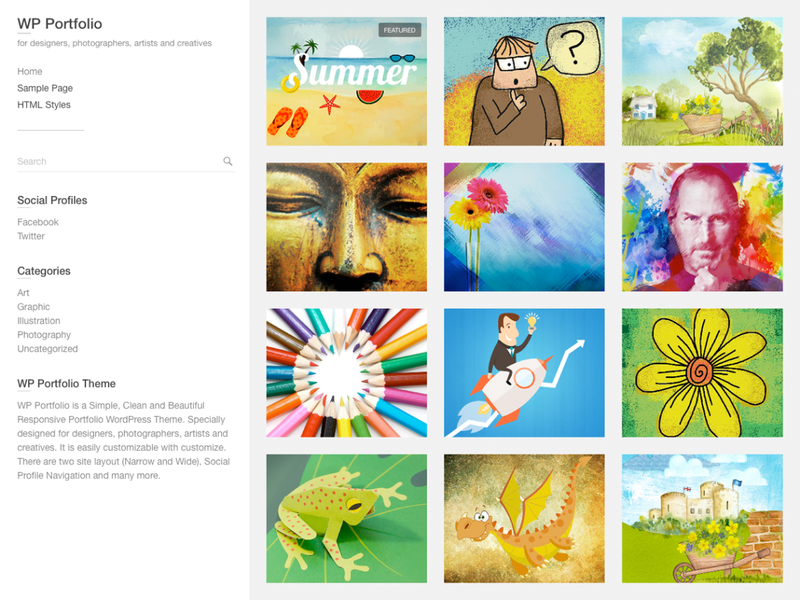 Finding the best in Portfolio themes is a process of sifting through the free collection at wordpress.org. The collection this week is full of premium features, page layouts and added professional details. Each template is easy to customize and has enough elements to create a professional, stylish site. 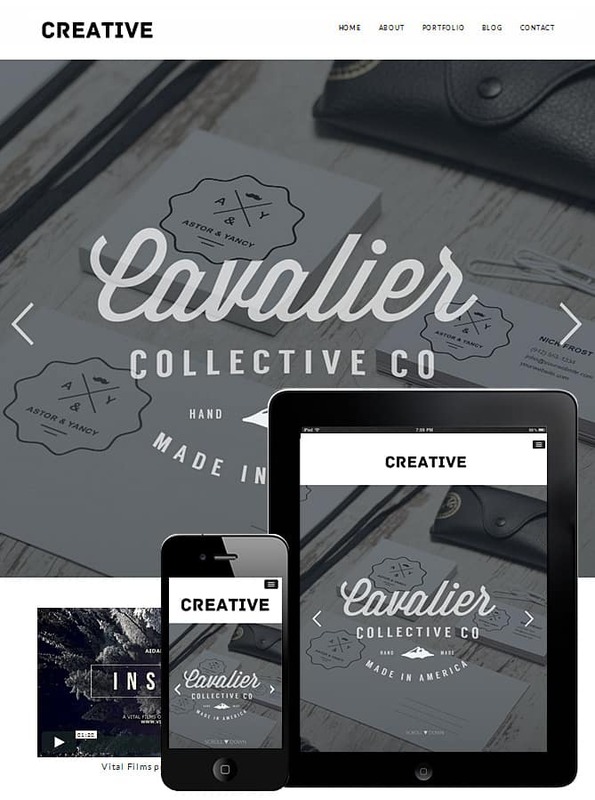 Below are 10 templates best for portfolio style sites. 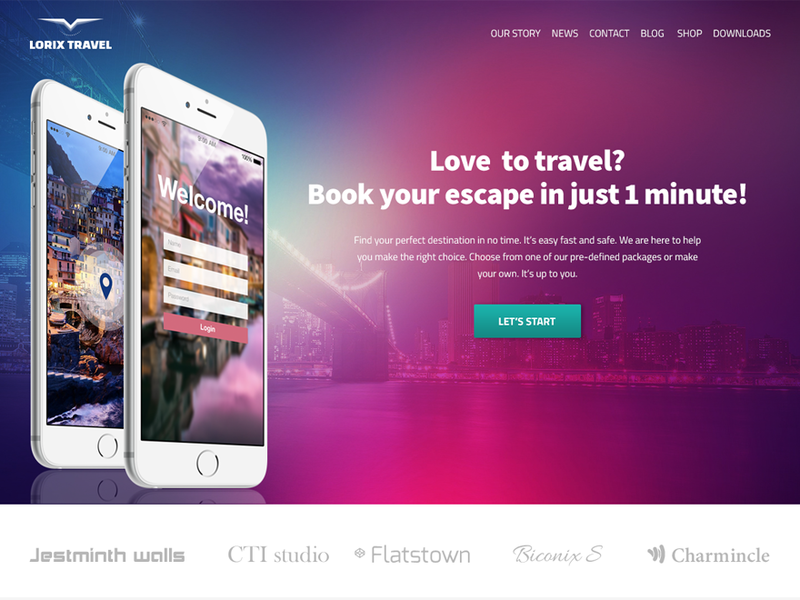 If you’re looking for a good theme to feature your portfolio then you might want to check these out. 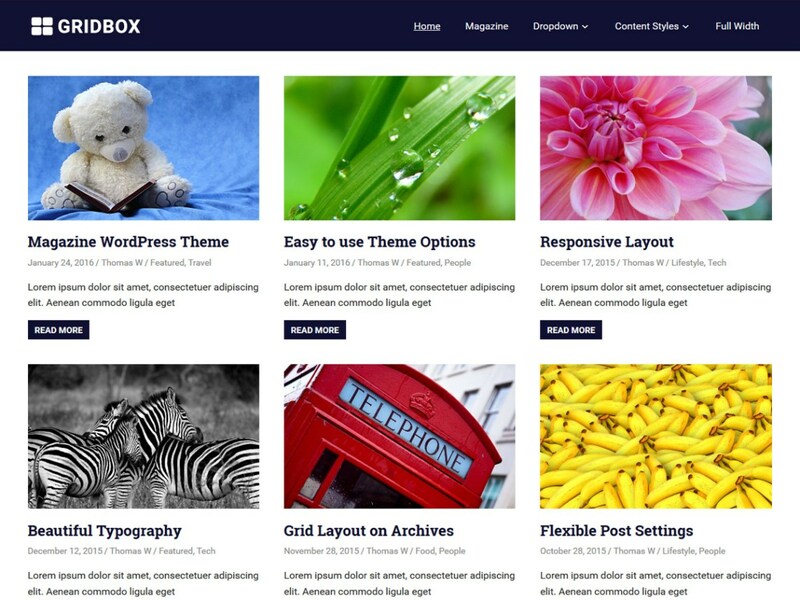 You can find all these themes in the WordPress database (go to the WordPress.org theme directory). 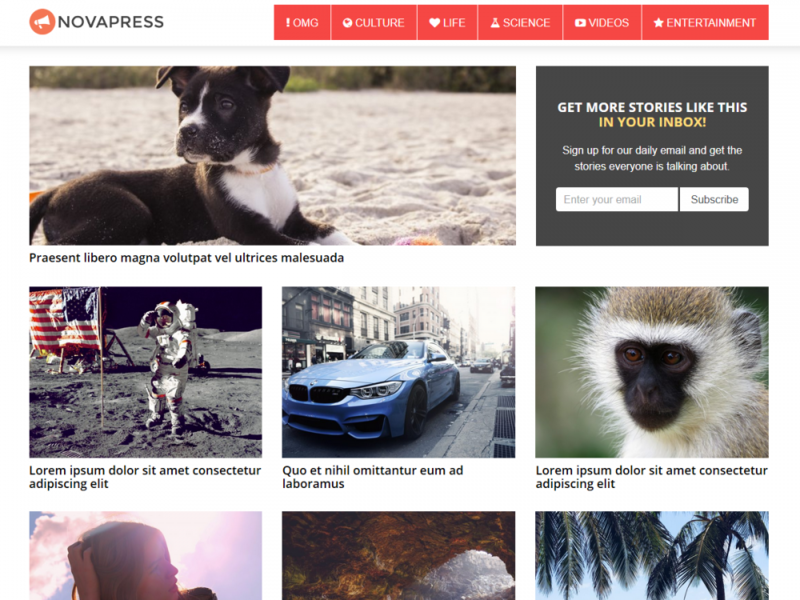 A minimally beautiful WordPress theme for Photographers, designer & illustrators. Clarina is a free and beautiful one page business WordPress theme, with a flat and clean bootstrap based design and an elegant parallax effect. It provides a simple, minimal and modern look that can be used for any kind of personal businesses or startup mobile app. Keeping simplicity in mind, Clarina customizer is perfectly designed in such a way, that it is easy for anyone to use and modify the content of the website. You can use it for your business / startup shop, agency, corporate website, or photography portfolio. The theme provides a responsive blog section, is eCommerce ready (WooCommerce store compatible), WPML, bbPress, Photo Gallery Grid, Contact Form 7, Meta Slider, SiteOrigin Page Builder, is JetPack compatible and is SEO friendly. 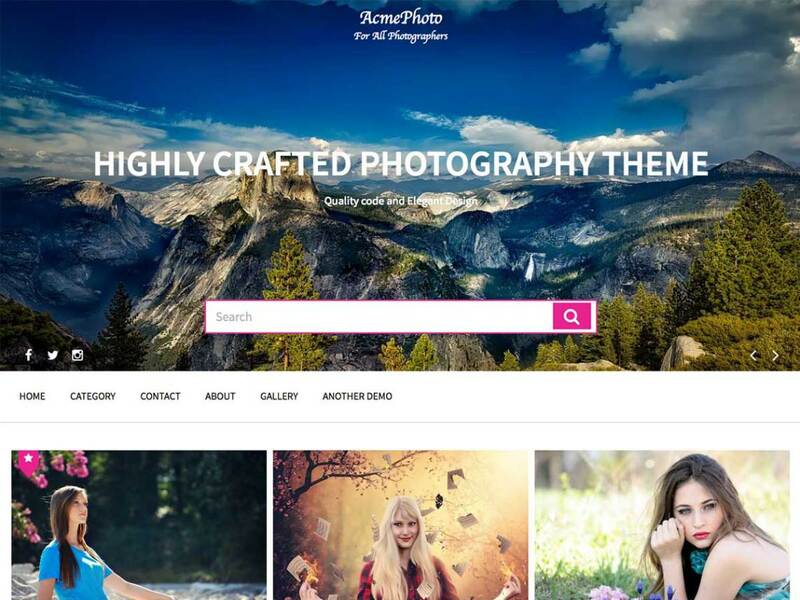 AcmePhoto is one of the best WordPress photography Theme based on masonry layout. Carefully Crafted theme with Creativity for photography, art portfolio, freelancer and other creative photography centric websites. 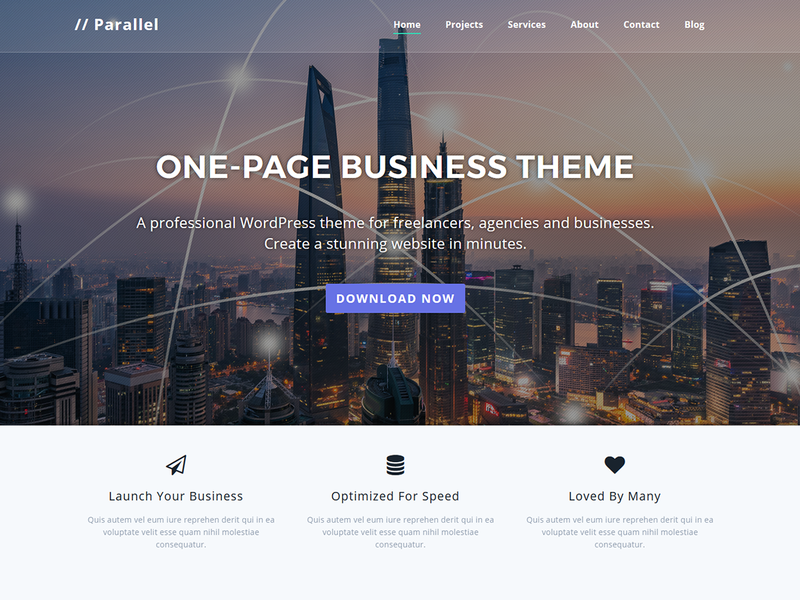 A very flexible theme with dozens of premium features including multiple menu position, control the height of slider/featured section, advanced pagination options and many more. 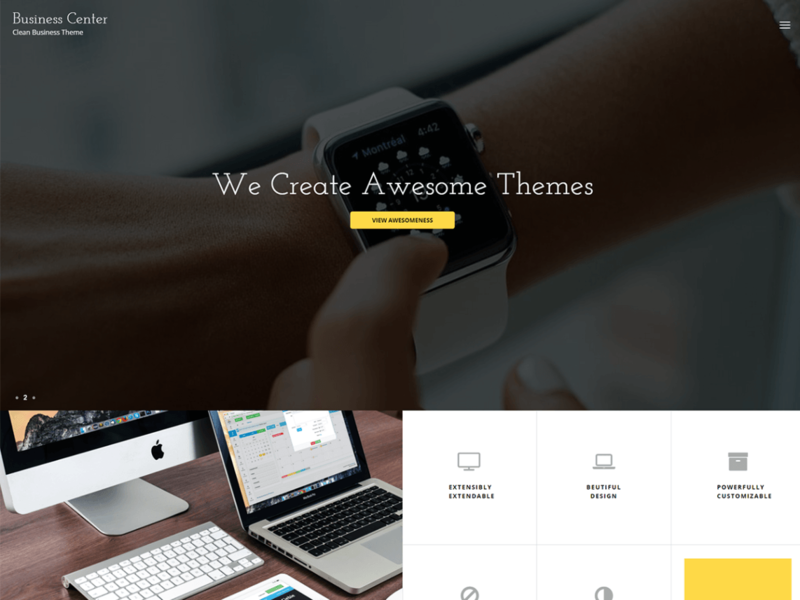 An elegant theme with quality code and based on customizer. A translation ready theme with major browser compatibility. 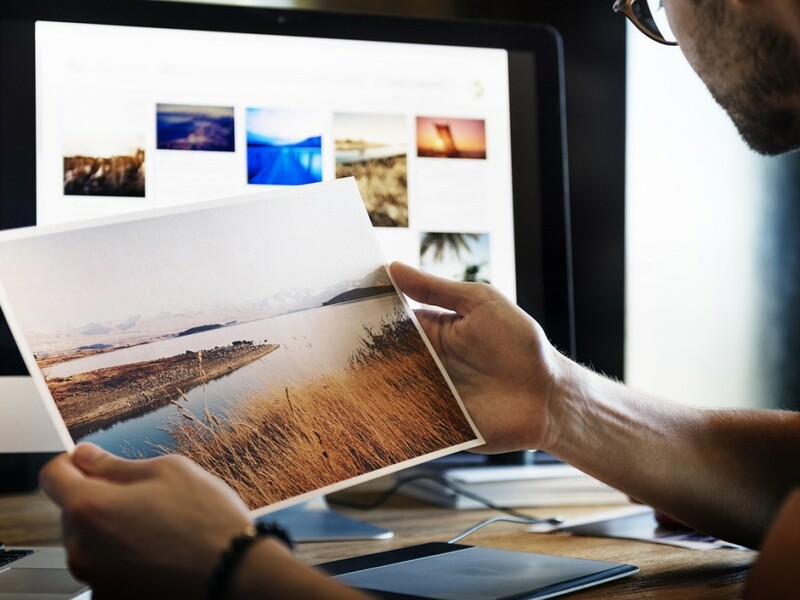 AcmePhoto comes with lots of features including logo options, site layout options, header options, footer options, sidebar options as well as color options too. Related posts, breadcrumb, search options, social icons, custom widgets are also the added features on this theme. 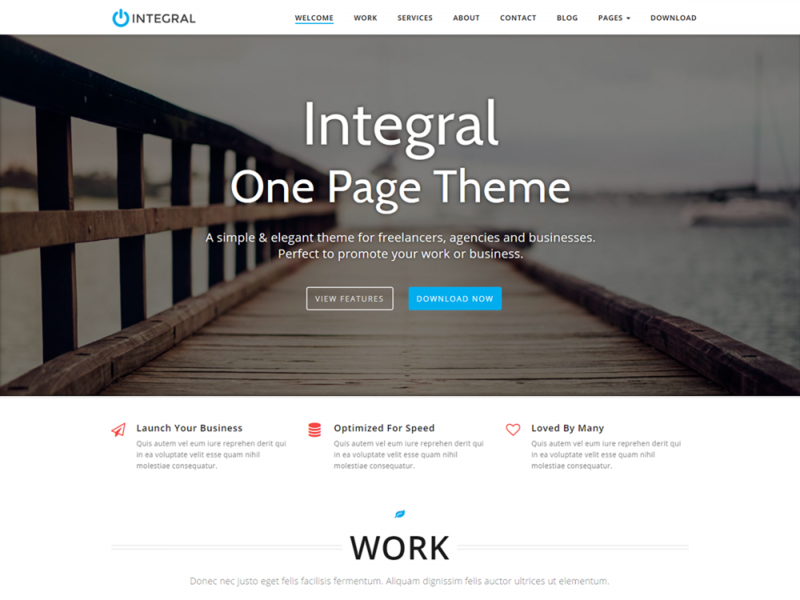 This theme packs a lot of premium features which helps you to make your site awesome and well organized. 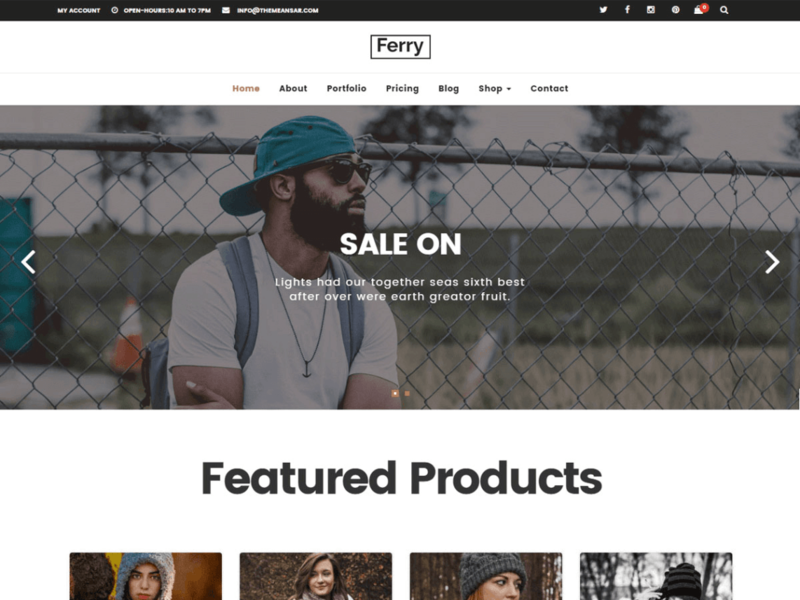 ferry is a powerful bootstrap WordPress theme for ecommerce and woocommerce. 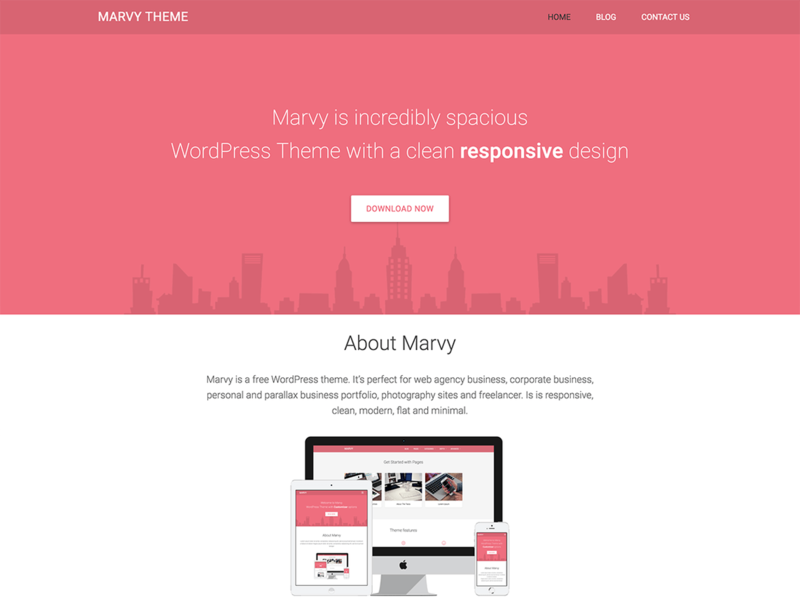 This theme designed for ferry (e-commerce business , online-shop etc.). This theme is packed with lots of exciting feature that enhances the ecommerce experience. This theme package many premium features and several custom widgets which helps making your online store.Theme suitable for photography, e-shop, gallary, magzine, blog, portfolio, music. WP Portfolio is a Simple, Clean and Beautiful Responsive Free WordPress Portfolio Theme which adapts automatically to your tablets and mobile devices. WP Portfolio is specially designed for designers, photographers, artists and creatives. There are two post view layout (Grid and list), Social Profile Navigation and many more. Also has Custom Background, Header, Menu, Favicon, CSS, Webclip Icon, and Logo. Supports popular plugins like WooCommerce, bbPress, Breadcrumb NavXT, WP-PageNavi and Contact Form 7. It is also translation ready. 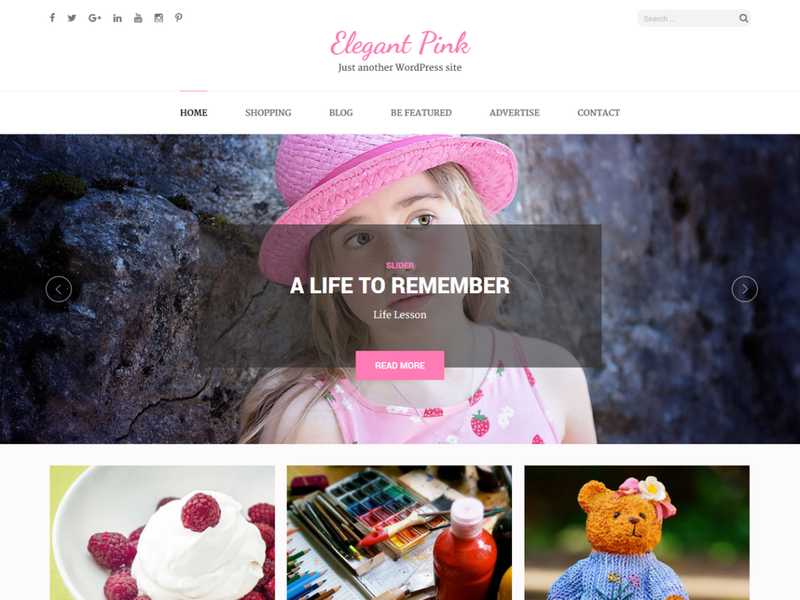 Elegant Pink is a versatile masonry based, feminine and girly WordPress theme that can be used for building lively and eye-catching websites. 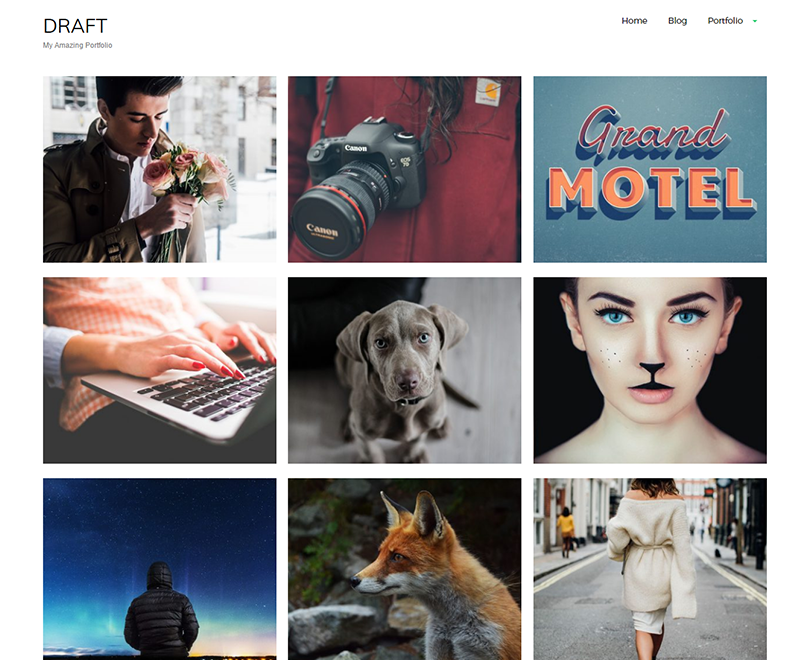 The theme can be used to build beautiful blog or magazine related to photography, nature, art and design, lifestyle, food, fashion, babies, kids, wedding or any other creative image centric websites. The responsive design of the theme ensures that your website is mobile friendly and looks great on every device including desktops, laptops, mobiles and tablets. The theme is loaded with features and tools that allows customization of different aspects of the theme. The theme features multiple post formats, custom menu, custom footer, custom slider and customizer options to create a visually appealing website. Infinite Scroll gives an unique loading of the blog posts. The masonry works by placing elements in the optimal position based on the available space, so that your posts are automatically presented in the most visually pleasing and organized way. The theme is SEO friendly and make it easy to find on Google and other search engines. It is loaded with theme options and provides several features to make user-friendly, interactive and visually stunning website.The pinterest style layout makes the theme an ideal option for blogs, portfolios, magazine and other creative websites. Whether you are a fashion blogger or simply want to share your wedding experiences in a beautiful and sophisticated website, Elegant Pink is just perfect for you.